This year’s Leader of the Year is Steve Mayo, an individual who has given much of his time to public service, most recently in the crucial role of Texarkana’s Regional Water Liaison for the City of Texarkana, TX. Steve’s service in this capacity builds on his experience of service as Mayor of the City of Texarkana, Texas from 2008-2012, which followed his terms on the City’s Planning and Zoning Commission from 2004-2006, and as a member of the City Council of Texarkana, Texas from 2006-2008. Steve’s other leadership roles for the community include serving on the Chamber of Commerce Board of Directors, the Chamber’s Executive Committee of 15, the Bowie/Miller Vision 2020 Steering Committee, the Board of Directors of the Salvation Army, Watersprings Ranch Advisory Board, Red River Redevelopment Authority Board, and the Texas A&M University-Texarkana Presidential Search Committee in 2012. Steve is a Leadership Texarkana Graduate from the Class of 2002 and served on the Leadership Texarkana Board of Directors from 2004-2005. A lifelong resident of Texarkana, Mayo received his Bachelor’s Degree in Business Administration from Texas A&M University in College Station and is a proud Aggie. Probably the only thing in which he takes more pride is his family. He is a member of St. Edwards Catholic Church and on occasion has been known to enjoy fishing and hunting. 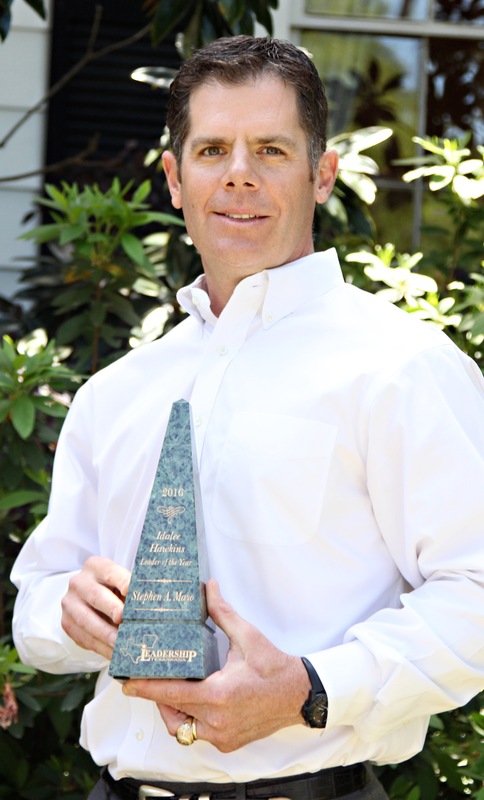 In his spare time, he serves as Executive Vice President of his family’s manufacturing business – Mayo Furniture. The Leader Of The Year Award is the highest award given by Leadership Texarkana annually, given to outstanding alumni of the Leadership Texarkana program and is given in memory of Idalee Hawkins who set a lasting example for her willingness to give of herself for her family and community. The Wilbur Awards are given in memory of Wilbur Smith, noted community volunteer and historian. Celebrating the power of one to positively impact our community, the Wilbur Awards are given to an adult, a group and a youth recipient of the public-at-large whose actions have demonstrated exemplary leadership in the community. 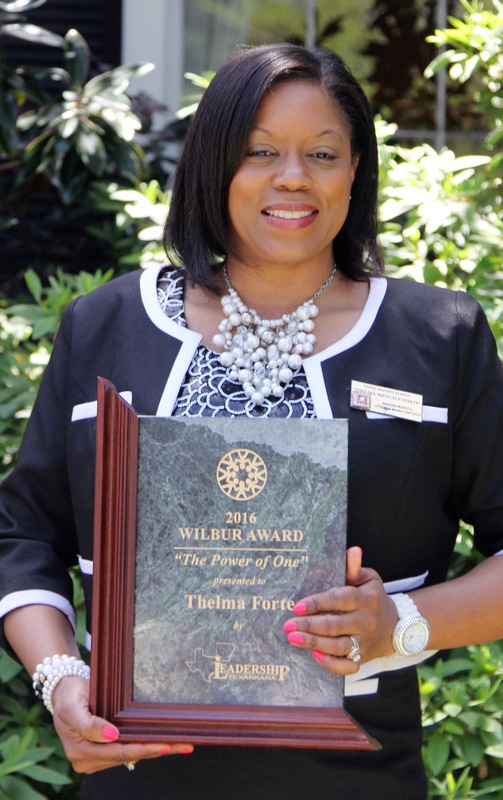 This year’s adult recipient of the Wilbur Award is Thelma Metcalf Forte. She is a designated Master Principal. Her contributions to education have made changes for the better for schools and she has maintained and surpassed those changes in particular areas. Because of her work, Union received the National School Change Award from the National Principal’s Leadership Institute, one of the only three schools in the nation to receive the award. Math scores rose from 59% to 94% passing. Discipline referrals fell 90%, from initial reports of 1000 referrals per year. Teachers strive for positions on Union’s campus. She has many honors to her credit. 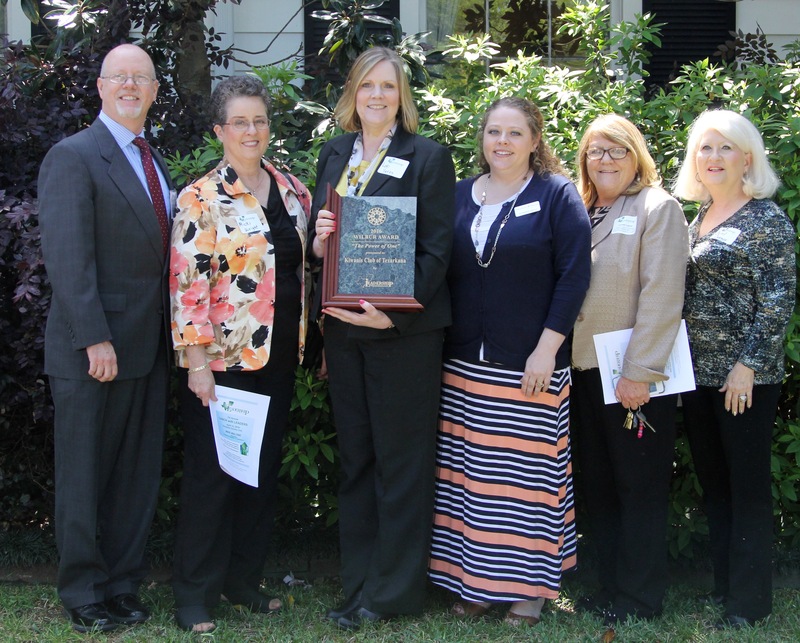 The Wilbur Award for service by an organization was given to the Kiwanis Club of Texarkana. 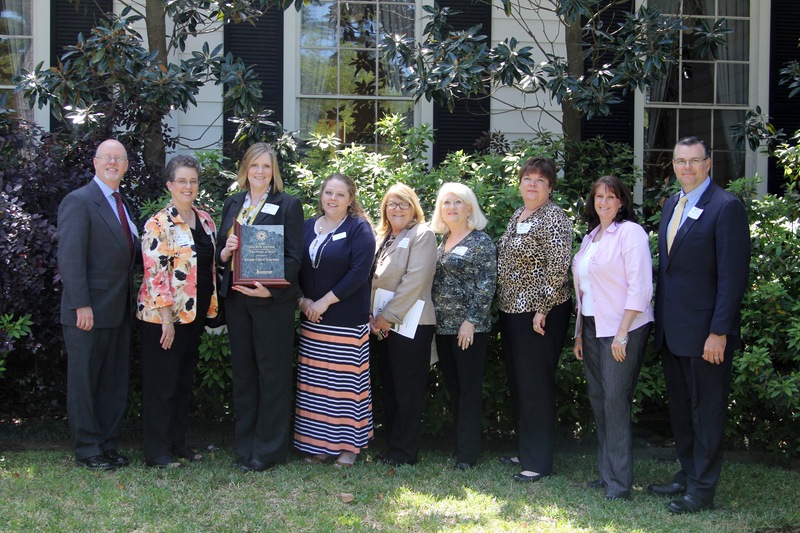 This group’s goal is to improve the quality of life for children in our community. The club provides funding support to multiple organizations including Boy Scouts, Bowie County Special Olympics, CASA, Challenged Outdoorsmen, Domestic Violence, Harvest Texarkana, Literacy Council, Partnership for the Pathway, Running WJ Ranch, Stuff the Bus, TAMUT Young Writer’s Program, Teen Court of Texarkana, and Watersprings Ranch–just to name a few. They support youth programs at every level in area schools, and provide scholarships to TC for area youth. The Club sponsors Aktion clubs at Texarkana Resources and Opportunities for those individuals to participate in a service club. Kiwanis volunteers also fund and build ramps for disabled individuals at their homes each year, in serving the Texarkana community. Other organizations honored as outstanding organizations for their contributions to the community included: Boy Scout Troop 16 (FBC) of the Caddo Area Scout Council, for their service to multiple causes in our community; Domestic Violence Prevention, for their invaluable efforts to remove women and children from violent home situations; Habitat for Humanity, for their generous efforts to support those working for home ownership. This year’s Wilbur Award for Youth Leadership was given to Kacye Welch. She is a senior at Texas High who serves her community and school. In 2009, Kayce was diagnosed with Type 1 diabetes, which by her own admission controlled her life. She decided to not let the disease adversely affect her and participated in Tigervision, Soccer, Student Council and other school events. She created the “One of a kind Diabetes Program” in Texarkana to support 150 school-aged children, their families and other adults living with Type 1 diabetes. She has raised over $30,000 for the Juvenile Diabetes Foundation and KIDS camp for children with diabetes. Her awards include: National Honor Society Induction in 2014, Prudential Spirit Award- Distinguished State Finalist- Texas- 2015 & 2016 and Gold Award- Girl Scouts USA, 2015. Wilbur honoree Kaylene Ferguson received the first-ever presented Rising Star Award, which the Leadership Texarkana instituted in order to recognize nominees thirteen years of age of younger who are quite literally, Rising Stars and models of service, even at such young ages. Kaylene is a consistent A Honor Roll student at College Hill Middle School and community volunteer. She is the top student in the 5th grade class. She gives her time and talent to all she comes in contact with. She is a volunteer at the Randy Sam’s Shelter with Tabernacle Baptist Church. She participates with the Susan G Komen Race for the Cure. She is a born leader and her abilities and skills are far beyond her years. She took it upon herself to learn sign language to assist students at school during performances so that they would understand what was going on. 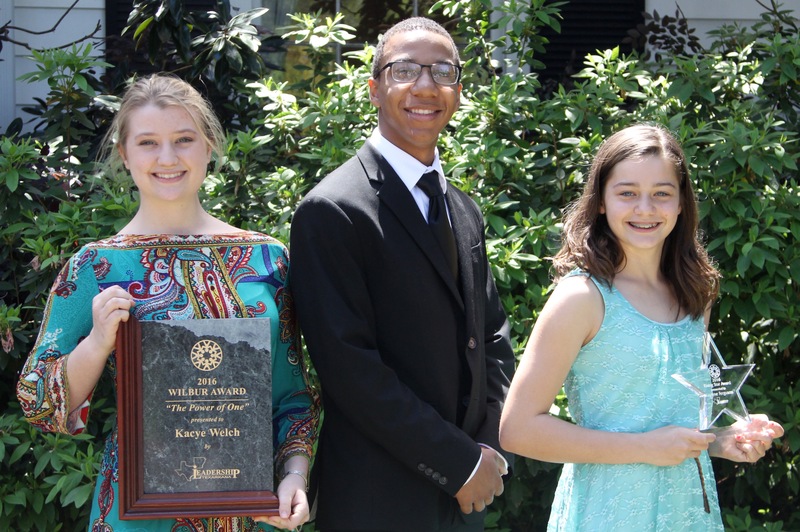 Kaylene was chosen as an outstanding young leader by her counselor and attended a week long seminar in Washington, D.C.
Brent Graham was also honored as a Wilbur youth nominee for his outstanding leadership and service to the school and community at LEISD. 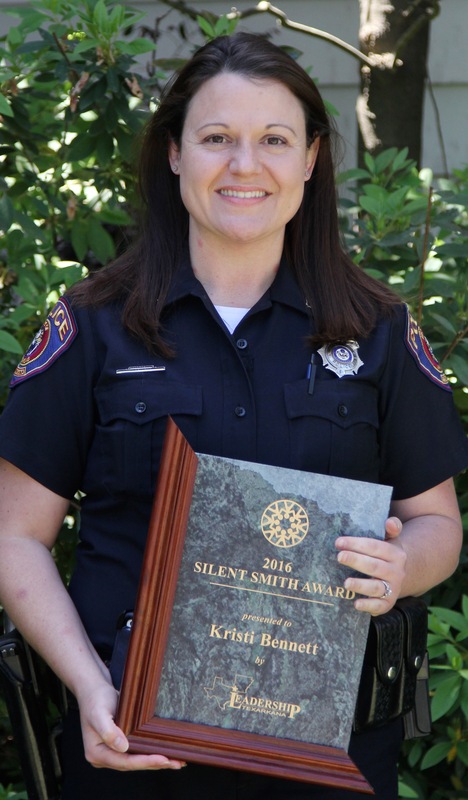 Finally, a “Silent Smith” Award was presented to Kristi Bennett, a ten year veteran with the Texarkana, Arkansas Police Department. The Silent Smith Award has been given only once previously by Leadership Texarkana; the name comes from Wilbur Smith’s nickname in jest. It is designed to honor those who work tirelessly to get jobs done without being at the forefront getting attention or limelight. They are the individuals that can always be depended on to make a difference. Kristi conceived and implemented a community oriented service program targeting school aged students from 5th to 12 grade called PRIDE (Personal Responsibilities in Daily Efforts). Officer Bennett also revitalized the Citizen Police Academy in 2016. Adults can participate in an overview of how the Texarkana Arkansas Police Department operates on a daily basis. Kristi currently serves as the Public Information Officer for the Arkansas City Police and also organizes many police related community events such as the National Night Out, Shop with a Cop, Cops and Kids, and is very active in the community. Terrie Arnold, for launching the very successful Twice as Fine Wine Festival in support of Alzheimer’s Awareness; Essie Dodd, a retired school teacher who continues to mentor and serve our students even at the age of ninety-two years; Al Smith, Little River County D.A. who is dedicated to numerous community causes; Cathy Smith, a tireless advocate and servant to the causes of the homeless and for animals; and Phillip Parrish, a community leader dedicated to connecting the spiritual community through providing leadership training and services. 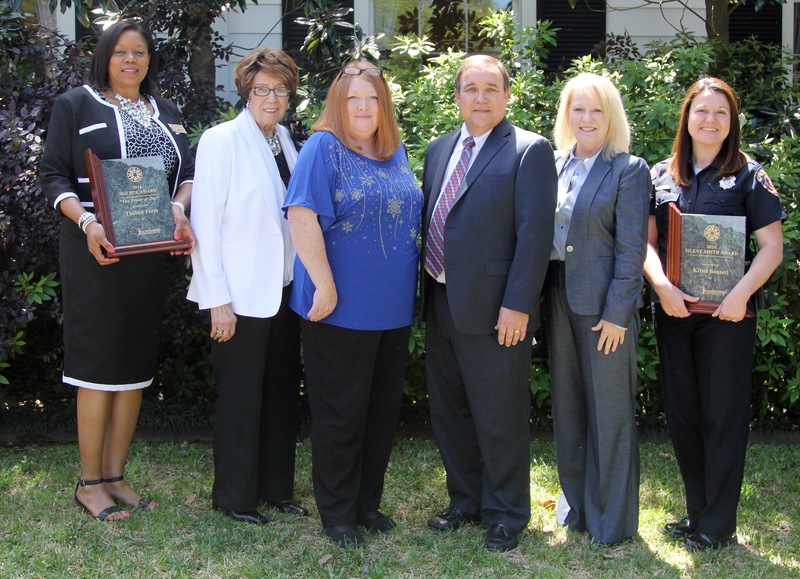 Comments on "LT NEWS: Outstanding Community Leaders Honored by LT "